Oh K! 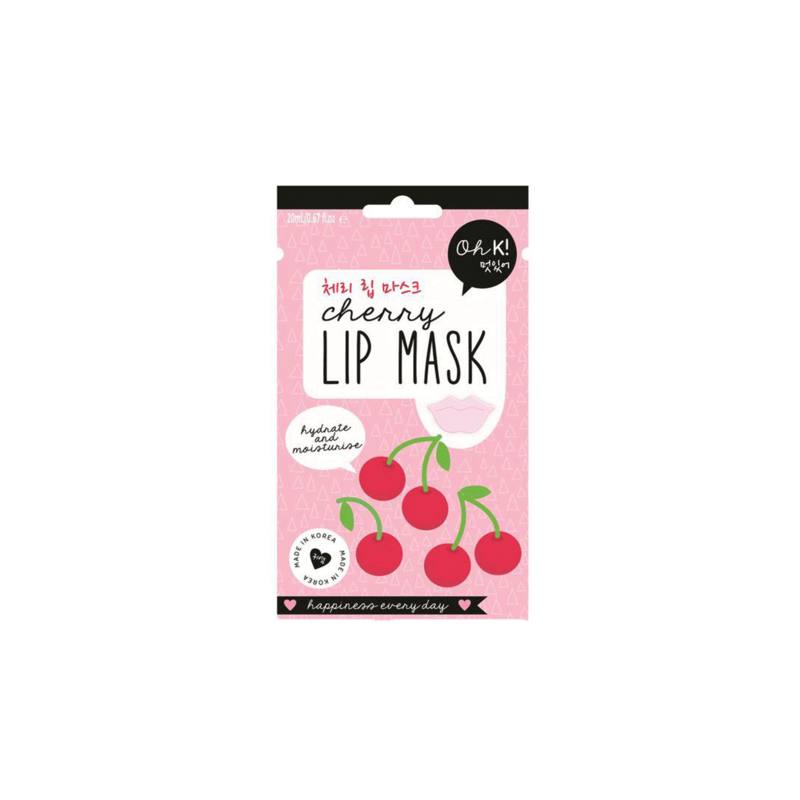 Cherry Lip Mask-Oh K! This hydrogel lip mask containing wild cherry and violet extract is deeply hydrating, leaving your lips soft and smooth. Shaped to form to your lips, the hydrogel formula locks in moisture and maximizes absorption of the precious essence. Ideal to use at the start or end of your beauty regime. 1. Remove lip mask from tray and apply lip patch on clean lips. 2. Take an #ohklife selfie and leave the mask on for 10-20 minutes. 3. Remove the mask and gently massage any residue into lips. No need to rinse!